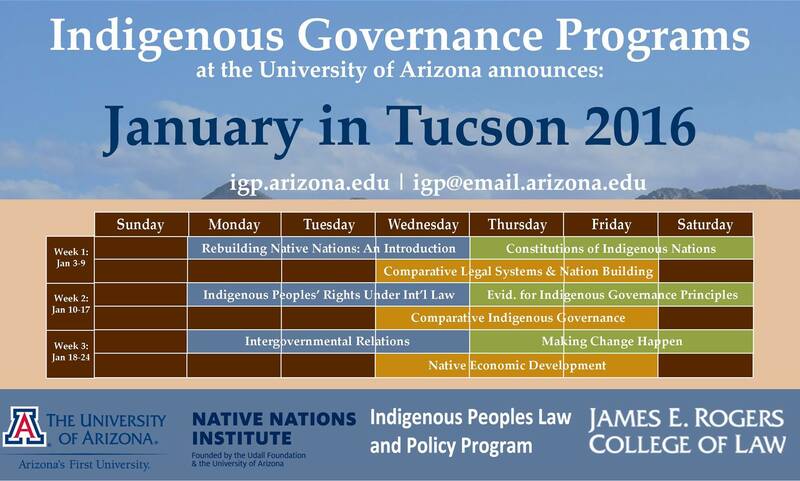 January-in-Tucson is a three-week session of courses offered by the Indigenous Governance Programs at the University of Arizona’s campus in Tucson, Arizona. Each year, the January-in-Tucson session brings together distinguished faculty in the field of Indigenous governance and Indigenous rights, and gives them the opportunity to teach and hold discussions with Indigenous leaders, practitioners, and community members, as well as other students interested in Indigenous affairs. The result is more than just a series of classes on Indigenous topics. 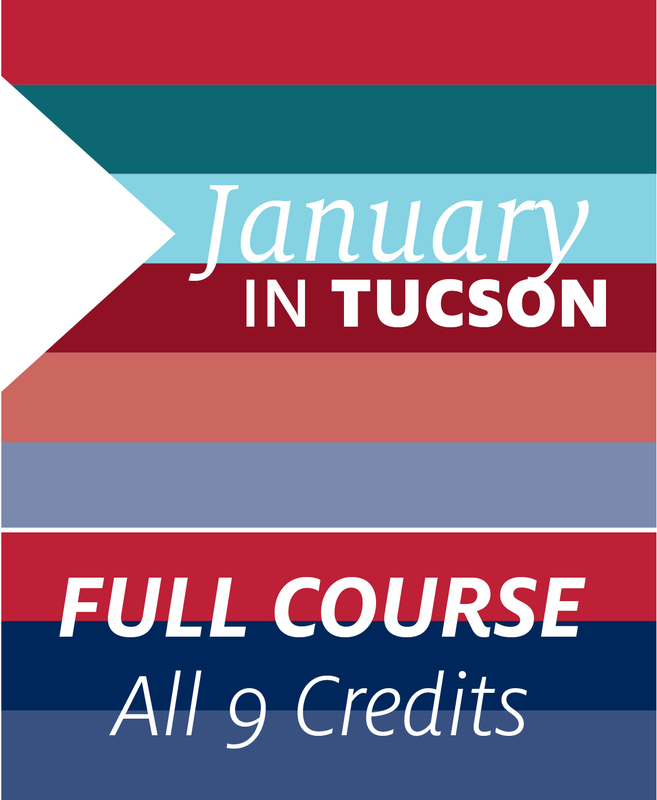 And that’s because January in Tucson courses not only convey important information backed by research, but they allow space for a crucial dialogue to occur between Indigenous peoples from all over the world. These dialogues help provide new perspectives to familiar challenges and help make January-in-Tucson a truly unique educational experience for all involved.